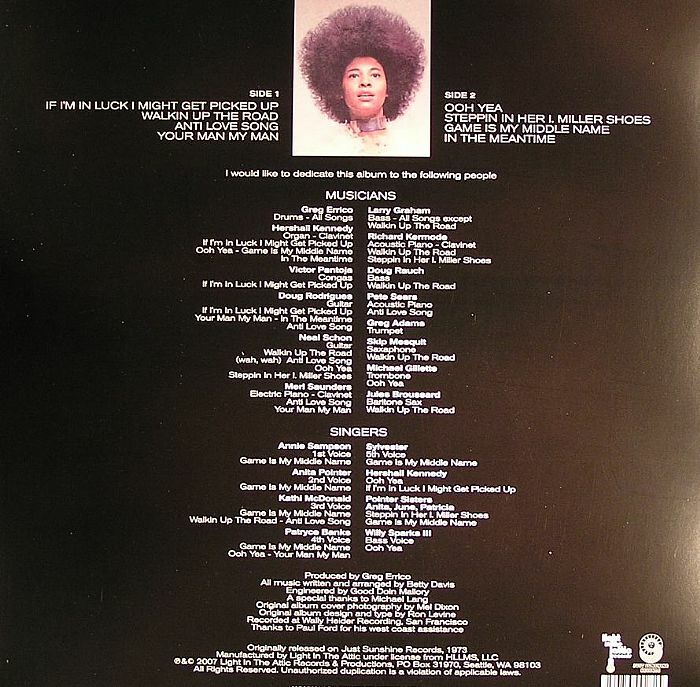 Betty DAVIS Betty Davis vinyl at Juno Records. 1. "If I'm In Luck I Might Get Picked Up"
2. "Walkin Up The Road"
4. "Your Man My Man"
2. "Steppin In Her I Miller Shoes"
3. "Game Is My Middle Name"